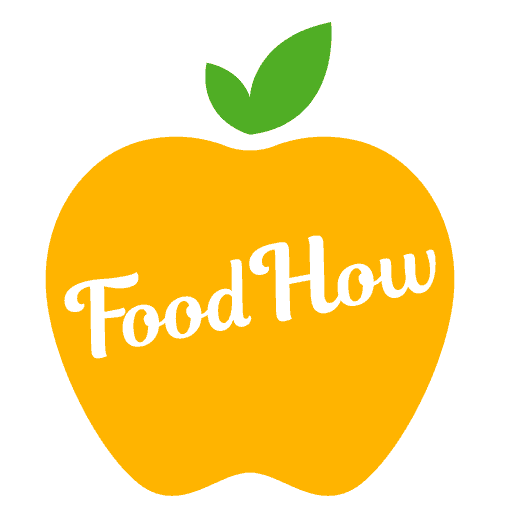 Raw apple cider vinegar is nature’s miracle food, because of its myriad health benefits. It has been used for centuries to alleviate various conditions. Health enthusiasts believe that apple cider vinegar can replace just about every other remedy or ointment you require for common ailments. ACV is made using a double fermentation process in which the apple juice is first made to ferment into hard cider in an anaerobic alcoholic fermentation. Then, in the secondary aerobic fermentation acetic acid bacteria convert alcohol into acid. Apple cider vinegar is also rich in vitamins such as Vitamins A, B6, C and E, Riboflavin, Thiamin Niacin, Beta-carotene, Pantothenic acid and Lycopene. What Is The “Mother “ In Apple Cider Vinegar? Raw organic apple cider vinegar comes with the amazing “Mother”. It is a natural, stringy and cloudy substance that forms at the bottom of the vinegar as it ferments. Many brands of ACV that you find in grocery stores filter the “Mother” out to make the vinegar look clear and attractive. When choosing an apple cider vinegar always go for cloudy unrefined, and unfiltered one that contains all the beneficial bacteria and living enzymes which are all stripped from the pasteurized clear looking vinegar. There is sufficient scientific evidence to prove the health benefits of apple cider vinegar. For example, in a Japanese study, it was found that subjects that drank apple cider vinegar had lower waist circumference, lower BMI and visceral group compared to the control group. Another study has shown that consuming apple cider vinegar reduced the risk of many cancers. External itching can result from allergies, dry skin or some imbalances. If lotions and creams are not helping your itching, you should give our good old ACV a try. Just dilute one-fourth cup of ACV to a cup of water and dab the mixture on to the affected area with a clean cotton ball couple of times a day. Keep applying till the itching subsides. No need to make a doctor visit for something as minor as a sore throat. A simple ACV remedy can help save that time and effort, and provide quick relief. Just mix a quarter cup of ACV to a quarter cup of clean drinking water and gargle the mixture for about 30 seconds. Rinse your mouth after gargling, and repeat as many times as required. Your skin needs to have the perfect pH balance to look and feel good. Apple cider vinegar has both antifungal and antibacterial properties that can help balance the pH levels of your skin. So, you don’t need to spend your money on expensive cosmetics and skin products, all you need is ACV, which will not only balance the pH levels but also help eliminate dead cells. If you have dry and oily skin and you suffer from frequent breakouts, ACV is the best thing for your skin. Here is what you need to do to prepare your very own natural skin lotion. Just add half a cup of ACV to a small bucket full of water. Massage the solution all over your body until it is dry. Do not wash it off. Another way you can use ACV to restore the pH balance of your skin is by pouring the mixture into a spray bottle, and spray the mixture on your skin right after taking a shower or bath. In today’s world, we are all exposed to a variety of toxins and pollutants. If you have been exposed to some hazards such as heavy metal poisoning, ACV can help counter that. It is known to be a natural chelator. To make your detox drink, just add a couple of tablespoons of ACV to about eight ounces of water and have this mixture thrice a day. It will help detoxify and also regulate the pH levels of your body. We all know that you need to eat healthy and exercise regularly for a healthy heart. However, not many know that ACV too can boost heart health. ACV is a good source of magnesium and potassium, which are essential for heart health. It also contains a chemical that helps make heart muscles stronger and regulates cholesterol and blood pressure levels. Recent studies have revealed that ACV can lower arterial plaque as well. The effect of ACV in blood sugar levels has been widely studied. An Arizona State University study involving 11 people with type 2 diabetes has shown that taking 2 tablespoons of ACV before bedtime can lower the blood sugar levels by about 4-6 per cent in the morning. Another study has shown that after taking 20 grams of ACV in 40 grams of water, the blood sugar levels came down by about 34 per cent in insulin-resistant subjects. A Japanese study has shown that acetic acid present in vinegar slows down the activity of certain enzymes such as mastase, amalase and sucrose. This results in certain starches and sugars getting flushed out of the system, which keeps blood sugar level under control. Apple cider vinegar can be highly beneficial in fighting problems such as dryness, sunburns, body odour and swelling. ACV can help detoxify your skin and clean out the pores. To soothe sunburn, just soak a cloth in apple cider vinegar and apply it on the affected part. For body odour, rub a generous amount of ACV on to your armpits. If you have swollen hands and feet, just apply generous amounts of ACV to them, it will provide relief and lower the swelling. Vaginal thrush can cause a lot of discomfort, and most women resort to antibiotics for treating it. However, before you do that, try out this all-natural remedy. Just dilute one-fourth cup of ACV in a litre of warm water and use it as a douche. You can use it regularly to maintain normal pH levels. For a headache and nausea, just go for an apple cider vinegar fast and start having a glass of AVC regularly until the problem resolves. Millions of people across the world suffer from this respiratory condition. Unfortunately, there is no cure for asthma. Medications can only relieve the symptoms. While there is nothing much you can do to stop asthma attacks, you can certainly take steps to reduce the damage it inflicts on you. Add a tablespoon each of ACV and honey and juice of a lemon to warm water, and keep sipping the mixture throughout the day. Take it on regular basis for best results. Tonsillitis can be a sign of the imminent flu, bacterial infection or a strep throat. Some common symptoms of tonsillitis include throat pain, pain when swallowing food, swollen neck glands, hoarseness, white patches on tonsils and dry throat. If you come down with this painful condition, ACV could be of great help. It can help fight disease-causing bacteria, reduce pH levels of the tissues, help increase WBC and T cell count and strengthen the immune system. For tonsillitis, just mix two tablespoons of apple cider vinegar to a cup of water and use this mixture to gargle. Sip a small amount of this concoction and repeat this every hour till you feel better. You can even sip a small amount of undiluted ACV several times a day. Just drink some water after each dose. Mouth ulcers or canker sores are small, white coloured ulcers that occur inside the mouth and cause pain and difficulty eating and speaking. These ulcers can be triggered by spicy and oily food, deficiency of certain minerals and vitamins or even food allergies. To treat mouth ulcers the natural way, you can mix equal volumes of ACV and water and gargle using this mixture. It is a contagious viral infection that commonly affects children. It is characterized by sores in the mouth and rashes on hands and feet. You can combat this infection with ACV. All you need to do is mix a tablespoon of ACV in about 8 ounces of water and drink this concoction. It helps the virus from replicating further. Drink it thrice a day. To cure your itchy and painful insect bite, you just need to mix about a tablespoon of ACV and a pinch of soda bicarbonate to water and rub a generous amount of this mixture to the affected area. You can also add a bit of lavender for a soothing effect. Leave the mixture on for 20-30 minutes and wash it off. Chest congestion can make you feel tightness or pressure in the chest region, which usually results from the fluid buildup around lungs. It can cause difficulty breathing and cough. If you have developed chest congestion, try taking a shot of apple cider vinegar for some relief. You can also add a tablespoon of ACV to a glass of warm water and drink it. Cancer is among the biggest killers of our times. While we cannot say with certainty what causes cancer, but obesity, poor diet and lack of physical activity certainly play a role. It is believed that apple cider vinegar may kill cancer cells or slow their growth. Studies have shown that consuming organic apple cider vinegar can reduce the risk of oesophageal cancer. Apple cider vinegar contains pectin, which is known to slow the multiplication of cancer cells in the prostate. It is also known to help with breast cancer. A tablespoon each of ACV and Molasses added to a glass of warm water had on an empty stomach each morning can help breast cancer patients. The primary way ACV helps reduce cancer risk or retard the growth of cancer cells is by alkalizing the body. Cancer cells cannot grow in an alkaline environment. Apple cider vinegar can help combat a host of health conditions such as infections, influenza, chronic fatigue, high cholesterol, kidney stones and vascular congestion. There is a traditional German recipe with ACV that has been used to treat many illnesses including the ones we just mentioned. Organic honey: It is rich in phytonutrients and antioxidants that help get rid of bad bacteria. It also contains hydrogen peroxide that kills germs. Ginger: A powerful medicinal spice, Ginger is known to cure many illnesses. It contains a substance known as Gingerol, which is very effective against nausea. It is also used as an anti-inflammatory to relieve muscle soreness and pain. It also boosts digestion. Fresh ginger root is easily crushed. Use good quality fresh ginger that will release more juice after being crushed. Garlic: It is one of the most potent spices against infections. Garlic has antiviral, anti-fungal and antibacterial properties. It is also effective in treating skin problems caused by various bacteria, fungi and viruses. Garlic is rich in Vitamin C and potassium and can boost immunity. Lemons: Lemons are a storehouse of vitamins and minerals such as Vitamin C, calcium, Vitamin A, Vitamin E, Vitamin B6, potassium, magnesium, folate and protein. It has antioxidant and anticancer properties. Lemons also reduce the risk of diabetes, high blood pressure, indigestion and fever. Apple Cider Vinegar: Unpasteurized ACV contains an amino acid that helps ease fatigue, boost energy, prevent cardiovascular disease and lower blood sugar levels. As we discussed earlier, ACV also helps treat a sore throat, lower mucus from sinus condition, relieve acid reflux and heartburn and aids digestion. Crush the chopped ginger and garlic. Squeeze the juice out of a lemon. Mix these five wonderful ingredients into a natural potion and use it to treat any of the conditions we mentioned above. Believe me, there is no better way to relieve an illness than the natural way. Apple cider vinegar can work wonders for your health. It is natural and inexpensive. You can easily make it a part of your daily diet and enjoy its limitless health benefits. However, make sure you buy the raw, organic form of apple cider vinegar for best results. Once you start using ACV regularly, you will need to make fewer doctor visits and you will feel healthier and more beautiful than ever before. 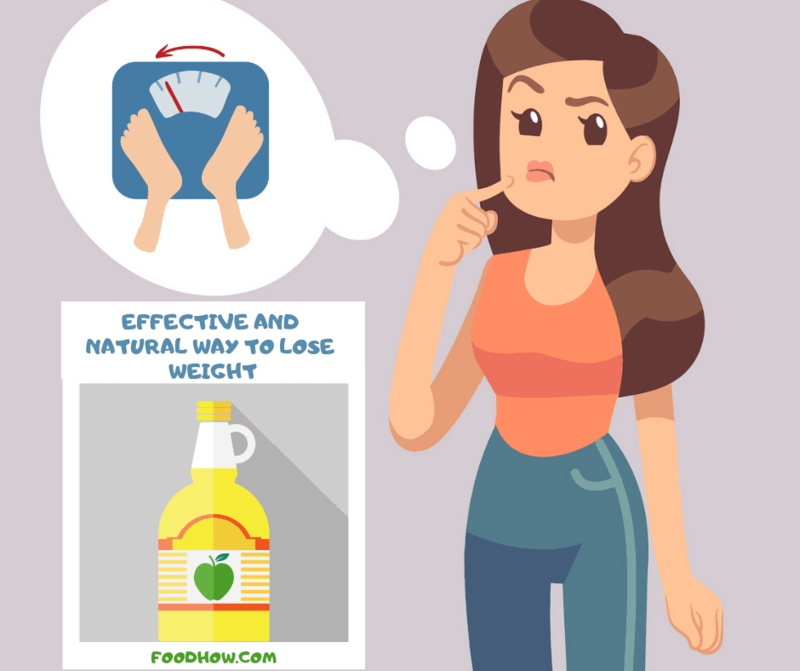 Apple cider vinegar offers one of the most effective and natural ways to lose weight as it is very powerful lowering glucose and insulin responses. Add a couple of tablespoons of ACV to water and have it every morning. Gradually, you will notice a change in your BMI count, body fat and waist circumference. To learn more about the weight loss benefits of apple cider vinegar watch this video below where personal trainer, nutrition and diet expert Jen Widerstrom, shares her tips and recommendations how to best use ACV for your diet and how to properly implement apple cider vinegar into your weight loss and daily routine. Apple cider vinegar is touted as the “fountain of youth” and is popular among celebrities, athletes, chefs and health experts for its myriad health benefits. However, with so many brands of ACV available in the market, finding the best one can be a daunting task. Here is one brand that has been around for pretty long and has a proven track record of quality. We are talking of the Bragg apple cider vinegar. 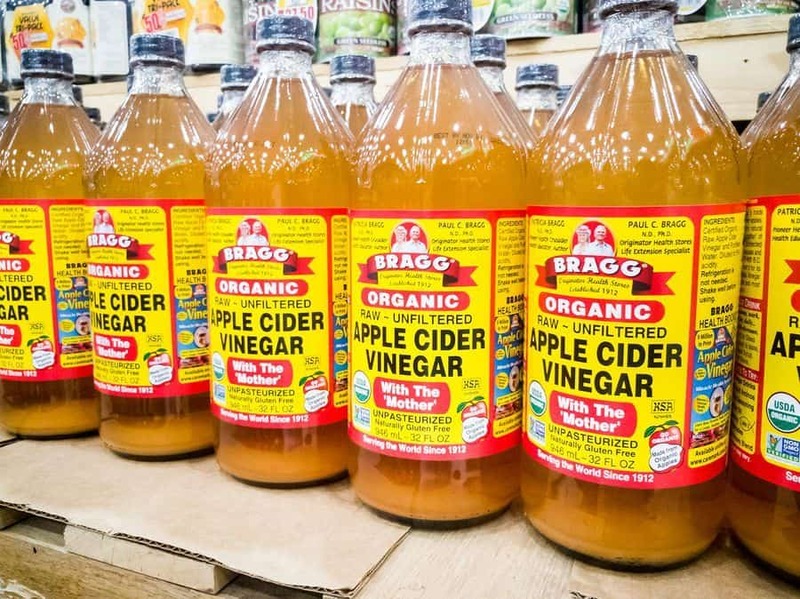 Let us check out why Bragg apple cider vinegar is the best-known brand of ACV. The Bragg company was founded in 1929. It is the brainchild of Paul Bragg, who is considered one of the pioneers of the American health food movement. Today, Bragg is possibly the most popular ACV on the market. The company sells ACV as “youth in the bottle”. While it may not entirely be true that ACV reverses ageing, but it does provide energy, youthfulness, vitality and many other proven health benefits. So, why is Bragg ACV better than any other ACV on the market? Here are the top four reasons that make Bragg ACV so popular among health enthusiasts. Bragg ACV is organic and high quality. As claimed by the most Apple Cider Vinegar users, Bragg organic apple cider vinegar is possibly the best and the highest quality available anywhere today. It has received various rewards for its top quality. Bragg apple cider vinegar is made using finest quality USDA Certified Organic Apples. It is certified organic by Oregon Tilth and other Organic Certifiers. Another great thing about Bragg apple cider vinegar is that it is unfiltered and comes with the amazing “Mother”. It contains apple peel, which is a storehouse of important polyphenol antioxidants. It is also raw and not pasteurized. Bragg ACV is made a natural way and is rich in enzymes. So, with Bragg ACV, you enjoy all the goodness of vinegar without having to worry about contamination from harmful pesticides and herbicides. Another thing that makes Bragg ACV better than many other brands is the way it is produced. Apple cider vinegar is made by either a slow or fast fermentation process. Most brands of apple cider vinegar available in the market are produced using quick methods, wherein the liquid is oxygenated by agitation and bacteria culture is added to it to allow rapid fermentation. On the other hand, Bragg ACV is made using the slow method in which the acetic acid bacteria culture grows on the surface of the liquid and the fermentation process proceeds slowly. When the fermentation period is longer, enzymes and acetic bacteria are known as the “mother” of the vinegar is accumulated. Many of the health benefits of ACV can be attributed to the enzymes contained in the Mother. So, even though the Mother of vinegar may give it a cloudy and not-so-appetizing look, but it does impart a lot of goodness to it. Due to the fact that Bragg ACV is unpasteurized and unfiltered, it retains the mother along with all the active acetic bacteria. When you hold the bottle up to the light, you can actually see the mother at the bottom of the bottle. While Braggs apple cider vinegar can add a nice tanginess to your salads or certain dishes, but on its own, it does not taste too appetising. If you have ever tasted vinegar straight out of the bottle or even diluted, you would know what we talking about. Even the smell that you get when you open the bottle of ACV can be enough to put you off. However, thankfully, Bragg ACV tastes quite decent. You can just mix a teaspoon or two of the vinegar into the water, add some honey if you want and it won’t taste bad. In fact, Bragg ACV has a unique taste since it is aged in wooden barrels and made using organic, high-quality apples. It still has the distinct apple flavour which you won’t find in regular ACV brands. Bragg enjoys a great reputation with the customers. 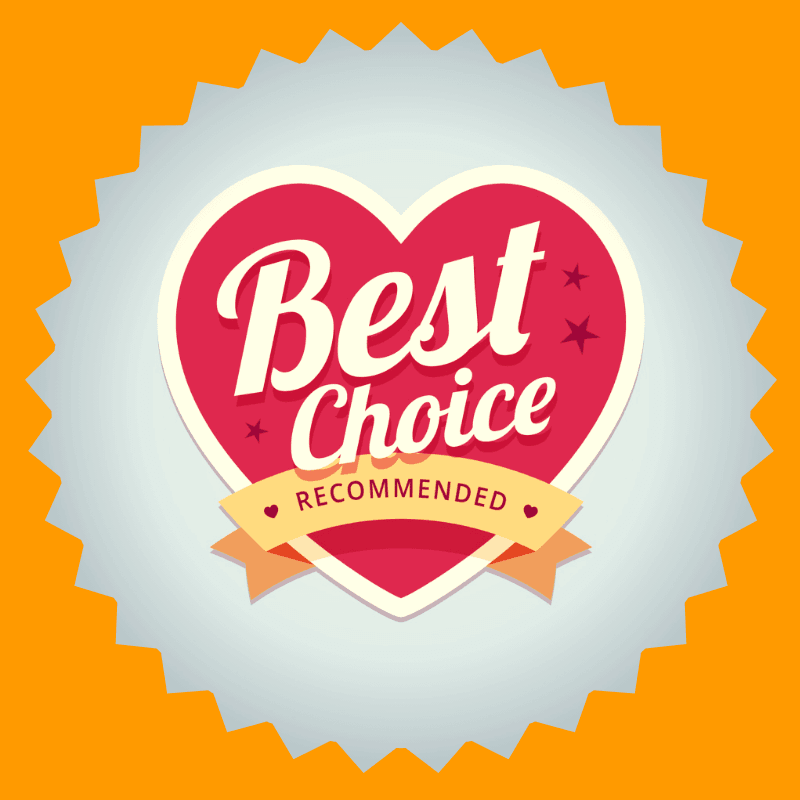 You can find hundreds of positive reviews on various sites such as Amazon. Customers claim that Bragg ACV has helped treat their digestive issues, arthritis and other health issues. How To Use Bragg Apple Cider Vinegar? There are various ways in which you can add Bragg ACV to your daily diet. You can add this pleasantly flavoured ACV to your salads, succulent vegetables and other meals. It can also be made into a refreshing drink by adding a teaspoon or two to water. It makes an ideal on-the-go drink for work, gym and sports. What Is Bragg's Apple Cider Vinegar Good For? ACV has been used as a natural remedy for centuries. Its use can be dated back to the times of Hippocrates. Studies have shown that ACV is effective in controlling insulin and blood glucose levels by bringing down the Glycemic index of foods. ACV has also been shown to aid weight loss. Bragg apple cider vinegar is also a great beauty aid. It can make your skin look youthful and healthy. It is also a wonderful toner and cleanser and can be used to soothe sunburns. You can just add a cup of ACV to your bath water to cleanse and refresh your skin. Rinse your hair with Bragg ACV after shampooing for nice, lustrous hair. If you want to enjoy the many health benefits that apple cider vinegar has to offer, Bragg is a perfect choice. It is organic, raw and unfiltered, which gives it an edge over other brands available in the market. For most people, it is perfectly safe to consume apple cider vinegar in reasonable amounts. However, overdoing it can lead to unpleasant health consequences, such as teeth problems, throat burning, rashes and potassium deficiency. In general, it’s recommended to dilute 2-3 tablespoons of apple cider vinegar daily in water as opposed to consuming it straight – this reduces the likelihood of side effects. If you’re just starting on it, try one tablespoon a day first and work your way up as required. Certain blood sugar medications can interfere with apple cider vinegar, so always consult your doctor before trying it. As apple cider vinegar can lower blood sugar levels, tweaking of your meds doses may also be required to prevent hypos. Also, despite its numerous health benefits, apple cider vinegar is anything but a quick fix. Rather, it’s an addition to a healthy lifestyle. Making apple cider vinegar involves fermenting apple cider, which produced healthy enzymes, as well as cuts the caloric content. Potential benefits of apple cider vinegar include aiding weight management, controlling blood pressure, improving cholesterol levels, maintaining stable blood glucose levels, promoting skin health, providing acid reflux relief and many more. There are numerous ways to use apple cider vinegar, from ingesting it to using it as a household cleaner. The best option is buying raw, organic apple cider vinegar that still contains the mother – this kind of apple cider vinegar provides the most benefits. I personally have used it for acid reflux. A lot of people are scared to try this because they think adding acid to acid will make the issue worse. Acid reflux is a “lack of acid” which is why ACV works so well for the body. I had completely cured my gut issues with it. It took about 3 months too. I now drink lemon water for maintenance and use ACV for recipes. It really does help the body! I also heard that apple cider helps with gastritis (and reflux can be its symptom), but i was told that it can not be drunk on an empty stomach. I think we need a doctor’s advice? I will admit that I am not a fan of the taste but now that I know all the benefits you can get from apple cider vinegar, I may have to give it another try. That potion sounds like it may be better for me seeing as there is more to it than just vinegar and water. My sister actually uses this in her salad dressing and I like it that was as well. I am beginning to think that is part of the reason she has lost weight over the last few months! Wow! This helps with asthma!? I had no idea something like this could. I am going to have to research this more. My daughter who is 5 has issues with asthma and I have been looking all over for a more safer approach to helping her out. The doctors aren’t too concerned with it because I guess in her case it is mild. Either way, I am going to get a bottle for my family ASAP. I love unfiltered ACV with the mother. It’s excellent for indigestion, and I use it to make fire cider, and it really keeps colds at bay! I have discovered consuming small amounts of apple cider vinegar will help me to stabilise my blood sugar, which will help me to reduce my cravings. It’s really good. I would recommend it for anyone. Hey Jen I will buy this immediately for my mom. Price is ridiculous comparing with how beneficial it is. I consume 2 tablespoons of Bragg ACV every morning and I feel a lot more energetic and cleansed, I think it is because it detoxes my body! It definitely works. Been using it for a month. I had severe digestion and anxiety issues and weight was collecting in my midsection. It’s helping. I make a pitcher of ginger tea and refrigerate it. Then each time I pour a cup, I add lemon, acv, cinnamon, and cayenne pepper. I drink it warm or cold depending on what my body feels like. In the morning and before bed. I never heard of “the mother”. It sounds funny when you think about it! I was going to go with Braggs when I get a bottle regardless of that but knowing there are actual benefits to using that over kinds that don’t have it is good to know. I think I watched a video not too long about for natural beauty care and the woman used diluted Braggs on her face as a toner. I may have to try that too! Never actually knew how useful ACV can be. Great job posting this article. Very useful Products, it’s works perfectly good and I like it a lot. It’s benefits are really much tremendous, it’s relieves Detoxification, weight loss, chest congestion, mouth ulcers tonsillities and it tast decent. Worth the PRICE. Apple vinegar is an alternative to the classic remedy. For example, even the Hippocrates use instead of the antibiotic. A tip to keep in mind for the coming summer season is the following: the effects of sunburn can be diminished if you make an apple bath. Use another alternative to apply apple vinegar to the skin: soak a piece of cotton wool and swab it with the problem areas. It does really work, I have been using for two months and this really helps a lot. Very good products. For sure worth the price for the large bottle. A special article, well described and detailed. I must say I’m also a big consumer of apple cider vinegar, using it for cooking and salads, and also as external treatment. Great information about apple cider vinegar and very helpful. People these days laugh about the old home dietary/medicine tricks but think about this… years ago people didn’t have high blood pressure, cholesterol, etc. They died of an old age and if they died young it was from diseases that had no preventive medicines for. They grew their own food, ate their meals at the same time everyday, worked outdoors, stayed active, and got plenty of rest. My family use apple cider vinegar a lot and we even add it to our food in salads with olive oil and so on. I do really recommend trying it out. You don’t have to make your own, just get some from Amazon as I do. I love apple cider vinegar. The whole concept of ACV has been used as a natural remedy and that was a case for the centuries in the past. It is used and even can be dated back to the times of Hippocrates so nobody should doubt how awesome this stuff is. Oh, my! You know, I’ve always known about taking ACV like a tonic, adding to water or taking it like a shot, etc. But I’d never heard of using it on skin or hair! I’m DEFO gonna have to try that. I’m always on the lookout for new natural stuff to add to my beauty routine. Gotta make myself shine inside and outside! I have loved Bragg since I first tried the ACV. It is the best one I have used for health benefits as well as cooking. Knowing Paul Bragg was a former bodybuilder and fitness buff ensures me that I am going with a great brand. He was proof of his health through the use of Bragg ACV. You know the first kind of apple cider vinegar I tried wasn’t Bragg and I am wondering if that is why I didn’t like it. I am now seeing that this is the go-to brand for it and it is very cheap! They even carry it at my favourite online health shop. I am going to order it and try it again. It shouldn’t take too long to arrive. I may be back to leave a follow-up comment. I Never knew ACV has all these health benefits. I knew a lot of people that were taking it and I was always wondering why would anyone want to drink vinegar, I thought that was a bit odd. I just order a bottle of Braggs myself now, I will see how it goes 🙂 Thank you for the informative post. I can’t thank you enough for letting me know about this. I took your advice and purchased some Bragg ACV and have been using it a lot. I’ve never felt better! And now I have my whole family using it, except my kids as they think it tastes horrible and so does my wife but I don’t think it tastes that bad, maybe because I have been drinking cider my whole life. Thank you! Thank you for sharing with us this interested post I like these types of information and useful advice for my health because I practice sports and give a lot of attention to every meal I take. I really benefited from these important points that I did not know before. We used to make a really tasty Italian dressing with Bragg’s, and just carry it around with us and use it instead of store-bought Italian dressing. It had lots less sugar and ended up having the nutrition benefits of apple cider vinegar, so if you have a hard time taking it, that’s another good idea you can use! Bragg’s is definitely the best you can do! All ACV is good for you just in general, but Bragg’s (or any brand that comes unfiltered and with the mother is best). I get just the regular cheap kind at the grocery store for baking (I do a lot of grain-free baking and most of my recipes call for ACV) but the best for taking as a tonic is DEFO Bragg’s! You simply cannot beat the quality of Braggs Apple Cider Vinegar and its great to balance stomach acids. I take it to help with my Acid Reflux and it really does work. It is very tangy but it is vinegar so it is expected I got used to it, I actually quite like it now. I am happy to recommend it. I do agree, Always get Braggs, that is the best, I take one tablespoon in the morning, first thing when I wake up and one tablespoon in the evening just before bed, sometimes I mix it with lemon juice if I got some lemons. I would really recommend it to anybody. I whole heartily agree, there is no better one than Braggs. I and My sister are using Braggs as it is the best! I do like Apple Cider Vinegar because it has really has helped me a lot. I usually mix it with lemon juice if I got some lemons to make it a bit more enjoyable. I have recommended it for all family and friends. Excellent article! Bragg’s Apple Cider Vinegar is just amazing! I’ve been using it for more than a years and I’ve got amazing results from consuming it every night. It helped me to get rid of my severe cough and it’s very rare for me now to get flu. And I do like the taste, I don’t know what some people are on about that it doesn’t taste good, I think it tastes ok.
Hey, I like anyone who is preaching about it. Apple Cider Vinegar has help me a lot, thanks to it I have got rid of quite a few conditions and I still take it regularly every morning. I am sure there are other good ones out there also but I have got used to Braggs now so I keep getting this one but I am open for any recommendations. This apple cider vinegar is amazing, it has so many uses and benefits, I just love this! I have tried in the past to do straight shots of ACV because that’s how my mom takes it, but I have never been able to manage the taste, even with Bragg’s. But that little tidbit about adding it to a glass of water with honey is super helpful, I’d never thought of that. I’ll have to give it a try! I love all the benefits that go with the apple cider vinegar. And I use this while cooking most times. I can most definitely vouch for this vinegar! I love it and use it in everything I make. Where can I buy a bottle of apple vinegar?